Which Honda Models Were Named AUTOMOBILE All-Stars? 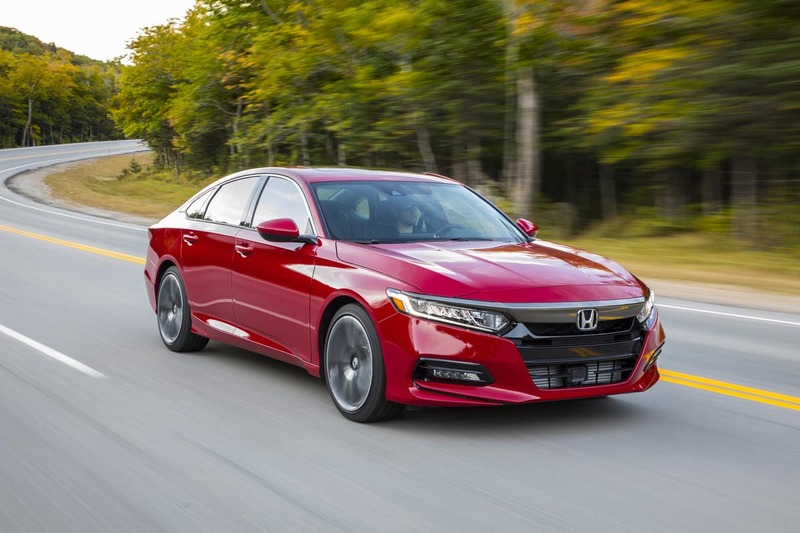 Recently AUTOMOBILE magazine selected two sporty Honda Models as 2018 AUTOMOBILE All-Stars, but which models were awarded? The Honda Accord and Civic Type R! Of any brand, Honda has the most models on the list. To be considered for the awards, the vehicles must be all-new, heavily revised, or have newly significant model variants on sale in the U.S. within 12 months of All-Star testing. The magazine writes about the Honda Civic Type R, “The engine pulls hard enough to make you think this Civic has more than 306 horsepower. Amazingly, it exhibits zero torque steer under full acceleration, thanks to its brilliant dual-axis strut suspension up front. The engine/induction/turbo sound inside the cabin is most pleasing in Race mode, but even then it’s still pretty quiet and not as racy-sounding as, say, the Ford Focus RS. 0 comment(s) so far on Which Honda Models Were Named AUTOMOBILE All-Stars?